This A/C mains adaptor is a very useful tool for saving battery power when working in a studio environment. 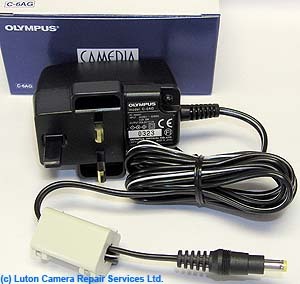 It is also recommended by OLYMPUS to be used when downloading images from your camera direct to your PC via USB cable. NOTE: This AC Adapter does NOT charge the camera batteries!